No matter how old they get or what they have accomplished you still worry about their well being and how they are. It's a never ending thing for a Mom because the love a Mother has for her child is unending no matter what. Mom's are always on call 24/7 because they love their children so much it doesn't matter the time of day or the age of their kids.This is the truest form of love. A mother is always a mother picture/image is an Inspirational Stuff to Inspire and Motivate You. You can download pics by just clicking on the Images. Thanks for visiting Truth Follower an online place for huge collection of inspiring pictures, quotation, and Sayings Images. 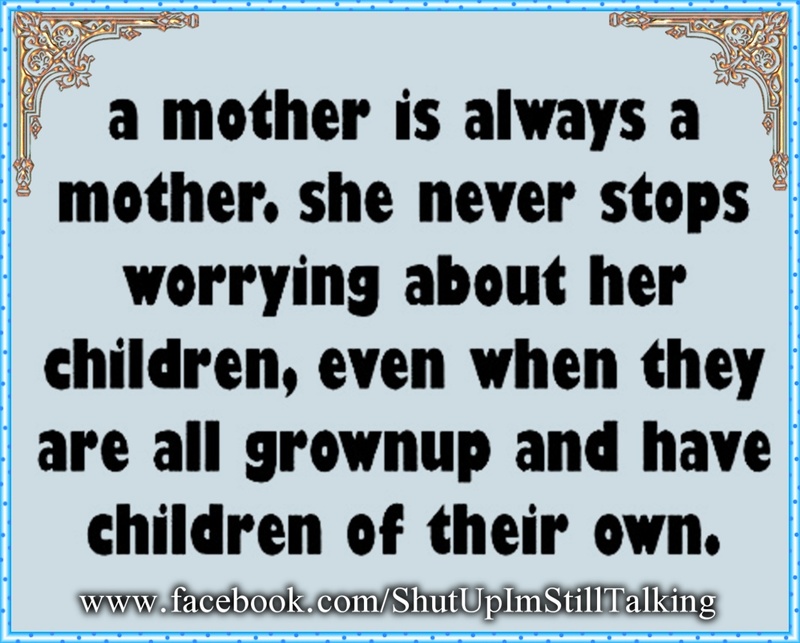 If you like A mother is always a mother, Please Share with friends and family on Facebook, Twitter, and Pinterest.